Yet another medal for India in shooting and yet again, the shooter was extremely close to land a silver. 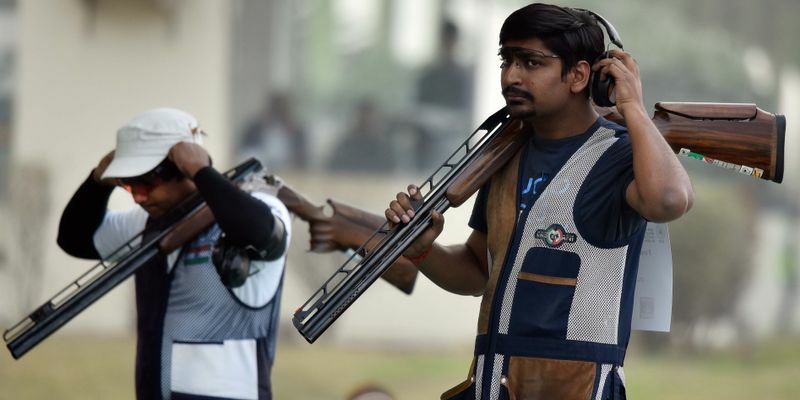 Both Ankur Mittal and Ahab Mohammed qualified for the final event of the Men’s Double Trap from the top five with Ashab even pushing David McMath, the eventual winner, to a shoot-off. However, as has often been the case, the elimination round was totally different. Ashab, who finished above Mittal, had already missed twice in the first five shots. By the time they had 60 shots, Ashab had missed six and Mittal was lingering in the third position by missing four. Mittal had a good chance to finish second as Isle of Man’s Tim Kneale, who was closest to him, had missed six of his shots and pretty much settled for a bronze. However, Mittal missed three of his shots in the next 10 tries where Kneale went ahead by taking five of them. The final was a no-match as McMath was almost impeccable in his execution, as he only missed six shots in the entire 80 tries, creating a Commonwealth Games record of 74. Kneale finished with 70 points and Mittal with 53. With this bronze, India’s medal tally now goes to 24 with 12 golds, four silvers and eight bronze.